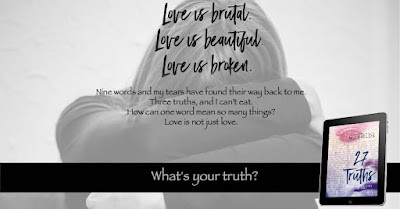 Wicked Tales of Racy Reads: 27 Truths: Ava's Story by MJ Fields is NOW LIVE! 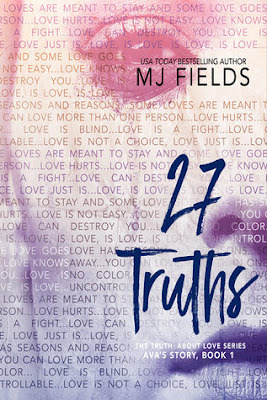 27 Truths: Ava's Story by MJ Fields is NOW LIVE! To the lovers of my first works. You have been patient. You have been... persistent. The wait is almost over. 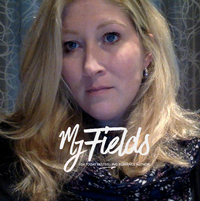 He grabs the back of my neck and pulls me toward him. His hungry mouth takes mine fiercely, and I groan into his. With his other hand, he cups me, and I can’t hold back the cry that leaves my throat. He breaks our kiss and grabs the hem of my shirt, pulling it up. We both kick off our shoes as he unhooks my bra, and I unfasten his belt. “Hurry,” I beg a bit more loudly as I allow my bra to fall from my arms and immediately finish unfastening his belt then push down his pants and boxers. My body is seconds from falling apart, and he isn’t even inside me. I whimper as he pulls off both my sweatpants and thong in one swift movement. “Hurry,” I close my eyes and beg as he pulls his sweatshirt free. Keeping my eyes closed, I hold his hips and try to slow down my pace as I run my hands up his strong body. “Hurry,” I say as I run my hands up his biceps, his shoulders, and link them together behind his neck. God, I’ve missed you, I think as he lifts me up, and I wrap my legs around his hips. He thrusts inside me fully, holding nothing back. “Yes,” he hisses as he pushes me up against the wall and takes me hard and fast with urgency and need. “Damn you, Ava,” he curses the pleasure he gets from me as he moves his body, taking what he needs from me, giving me what I need from him. “Can’t hold back,” he grunts as his pace hastens. “Don’t you dare,” I cry as I meet his thrusts. I wrap my arms around his neck and hold on to him more tightly than ever before, feeling his body calling mine to release almost immediately. I bite down on his shoulder, and my back hits the wall as he fucks me harder, faster, and without restraint or apology. We come together, and to me, it’s a sign that the universe has finally aligned. This is our time. His and mine, mine and his. And I know the minute I tell him I love him, everything will be as it should.